At Creature we believe that as a creative company if we’re not making brilliant stuff for our clients we’ll make stuff for ourselves. So every Halloween we create something new and fun that demonstrates intelligent misbehaviour, turns a few heads and hopefully makes a few people insanely jealous. This year we decided to take the commonplace Halloween fancy dress costume of ‘the bed sheet ghost’ and give it a clever kick up the arse. So we’ve created a new range of kids halloween costumes that we’re calling 'Little Monsters’. 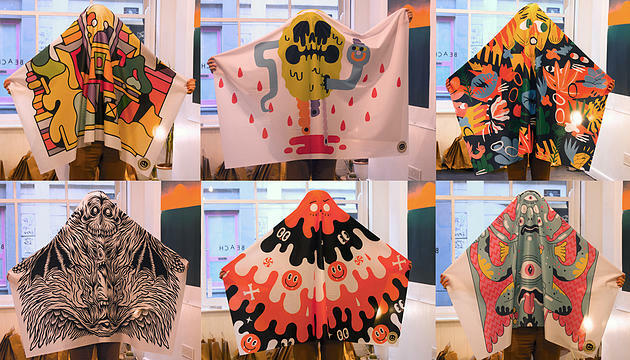 Instead of just being the classic hollow-eyed ghost, we’ve pushed the idea further and by partnering with Beach London we designed our very own gang of beautiful bed-sheet based creepy creatures. 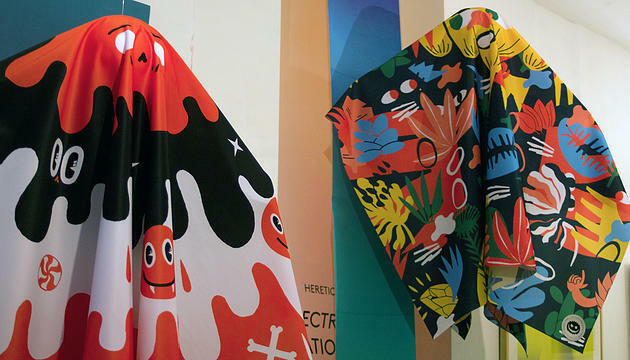 We launched the collection with an exhibition at Beach London on Cheshire Street just off Brick Lane in London's East end. The collection sold out in 20 minutes. Some lucky folk even got sent costumes through the post to help them get into the party spirit. With a bit of luck it got their little 'uns a few more treats whilst they’re out terrorising their respective neighbourhoods.